We only install replacement house windows from the best manufacturers in the business, including Simonton, eShield, Wincore, and Ply Gem. 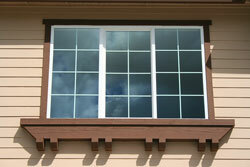 Additionally, each window that we install is custom-fitted to the specific openings in your home to provide a perfect seal without any openings for air to seep through. Working with Green Machine means working with local experts, and our team will ensure that your new windows are installed properly, improve your home’s energy efficiency, and will look beautiful from inside and out. If you’d like to find out more about Green Machine and the replacement windows that we have to offer, please contact us today for a free consultation and pricing estimate.